1 ¶ There was a man in the land of Uz, whose name was Job; and that man was perfect and upright, and one that feared God, and eschewed evil. 4 ¶ And his sons went and feasted in their houses, every one his day; and sent and called for their three sisters to eat and to drink with them. 1 ¶ Again there was a day when the sons of God came to present themselves before the LORD, and Satan came also among them to present himself before the LORD. 7 ¶ So went Satan forth from the presence of the LORD, and smote Job with sore boils from the sole of his foot unto his crown. 11 ¶ Now when Job's three friends heard of all this evil that was come upon him, they came every one from his own place; Eliphaz the Temanite, and Bildad the Shuhite, and Zophar the Naamathite: for they had made an appointment together to come to mourn with him and to comfort him. 1 ¶ After this opened Job his mouth, and cursed his day. 11 ¶ Why died I not from the womb? why did I not give up the ghost when I came out of the belly? 1 ¶ Is there not an appointed time to man upon earth? are not his days also like the days of an hireling? 7 ¶ O remember that my life is wind: mine eye shall no more see good. 17 ¶ What is man, that thou shouldest magnify him? and that thou shouldest set thine heart upon him? 14 ¶ How much less shall I answer him, and choose out my words to reason with him? 22 ¶ This is one thing, therefore I said it, He destroyeth the perfect and the wicked. 25 ¶ Now my days are swifter than a post: they flee away, they see no good. 1 ¶ My soul is weary of my life; I will leave my complaint upon myself; I will speak in the bitterness of my soul. 8 ¶ Thine hands have made me and fashioned me together round about; yet thou dost destroy me. 14 ¶ If I sin, then thou markest me, and thou wilt not acquit me from mine iniquity. 6 ¶ The tabernacles of robbers prosper, and they that provoke God are secure; into whose hand God bringeth abundantly. 12 ¶ With the ancient is wisdom; and in length of days understanding. 1 ¶ Man that is born of a woman is of few days, and full of trouble. 7 ¶ For there is hope of a tree, if it be cut down, that it will sprout again, and that the tender branch thereof will not cease. 16 ¶ For now thou numberest my steps: dost thou not watch over my sin? 6 ¶ Though I speak, my grief is not asswaged: and though I forbear, what am I eased? 17 ¶ Not for any injustice in mine hands: also my prayer is pure. 1 ¶ My breath is corrupt, my days are extinct, the graves are ready for me. 10 ¶ But as for you all, do ye return, and come now: for I cannot find one wise man among you. 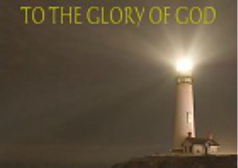 5 ¶ Yea, the light of the wicked shall be put out, and the spark of his fire shall not shine. 11 ¶ Terrors shall make him afraid on every side, and shall drive him to his feet. 10 ¶ His children shall seek to please the poor, and his hands shall restore their goods. 23 ¶ When he is about to fill his belly, God shall cast the fury of his wrath upon him, and shall rain it upon him while he is eating. 7 ¶ Wherefore do the wicked live, become old, yea, are mighty in power? 17 ¶ How oft is the candle of the wicked put out! and how oft cometh their destruction upon them! God distributeth sorrows in his anger. 27 ¶ Behold, I know your thoughts, and the devices which ye wrongfully imagine against me. 5 ¶ Is not thy wickedness great? and thine iniquities infinite? 15 ¶ Hast thou marked the old way which wicked men have trodden? 21 ¶ Acquaint now thyself with him, and be at peace: thereby good shall come unto thee. 13 ¶ But he is in one mind, and who can turn him? and what his soul desireth, even that he doeth. 1 ¶ Why, seeing times are not hidden from the Almighty, do they that know him not see his days? 13 ¶ They are of those that rebel against the light; they know not the ways thereof, nor abide in the paths thereof. 18 ¶ He is swift as the waters; their portion is cursed in the earth: he beholdeth not the way of the vineyards. 5 ¶ Dead things are formed from under the waters, and the inhabitants thereof. 7 ¶ Let mine enemy be as the wicked, and he that riseth up against me as the unrighteous. 11 ¶ I will teach you by the hand of God: that which is with the Almighty will I not conceal. 7 ¶ When I went out to the gate through the city, when I prepared my seat in the street! 18 ¶ Then I said, I shall die in my nest, and I shall multiply my days as the sand. 1 ¶ But now they that are younger than I have me in derision, whose fathers I would have disdained to have set with the dogs of my flock. 15 ¶ Terrors are turned upon me: they pursue my soul as the wind: and my welfare passeth away as a cloud. 1 ¶ So these three men ceased to answer Job, because he was righteous in his own eyes. 6 ¶ And Elihu the son of Barachel the Buzite answered and said, I am young, and ye are very old; wherefore I was afraid, and durst not shew you mine opinion. 15 ¶ They were amazed, they answered no more: they left off speaking. 1 ¶ Wherefore, Job, I pray thee, hear my speeches, and hearken to all my words. 14 ¶ For God speaketh once, yea twice, yet man perceiveth it not. 9 ¶ By reason of the multitude of oppressions they make the oppressed to cry: they cry out by reason of the arm of the mighty. 14 ¶ Although thou sayest thou shalt not see him, yet judgment is before him; therefore trust thou in him. 5 ¶ Behold, God is mighty, and despiseth not any: he is mighty in strength and wisdom. 15 ¶ He delivereth the poor in his affliction, and openeth their ears in oppression. 24 ¶ Remember that thou magnify his work, which men behold. 1 ¶ At this also my heart trembleth, and is moved out of his place. 6 ¶ For he saith to the snow, Be thou on the earth; likewise to the small rain, and to the great rain of his strength. 14 ¶ Hearken unto this, O Job: stand still, and consider the wondrous works of God. 21 ¶ And now men see not the bright light which is in the clouds: but the wind passeth, and cleanseth them. 1 ¶ Knowest thou the time when the wild goats of the rock bring forth? or canst thou mark when the hinds do calve? 13 ¶ Gavest thou the goodly wings unto the peacocks? or wings and feathers unto the ostrich? 19 ¶ Hast thou given the horse strength? hast thou clothed his neck with thunder? 26 ¶ Doth the hawk fly by thy wisdom, and stretch her wings toward the south? 1 ¶ Canst thou draw out leviathan with an hook? or his tongue with a cord which thou lettest down? 11 ¶ Who hath prevented me, that I should repay him? whatsoever is under the whole heaven is mine. 10 ¶ And the LORD turned the captivity of Job, when he prayed for his friends: also the LORD gave Job twice as much as he had before.